Everyone has that one friend who always goes a little bit extra on a birthday or any occasion, but how do you become that person? It’s always that extra effort that you remember someone making that leaves you feeling a bit #blessed which is why I’ve partnered up with Bakerdays for this post which is full of tips – mainly borrowed tips from when my sister went a bit all out on my birthday. Well, obviously! Bakerdays do personalised cakes which can be as big as a party cake or as small as a treat that will go straight through your letterbox. Think posting a cake is risky? Let me tell you, when it turns up in a tin and perfectly intact, it’s not even worth worrying about. 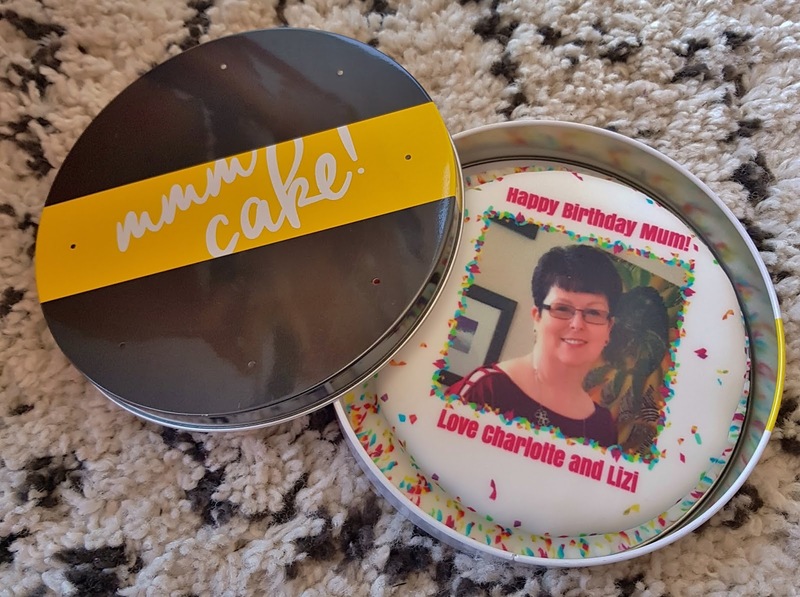 The one Bakerdays sent me was actually for my mum’s birthday so naturally I got a photo of her face on it and it was even gluten free as she’s a coeliac). It’s just a personal touch. When it was my birthday last month, my sister contacted the restaurant I was having lunch at with her and some friends ahead of time to make sure she could come and decorate the table before I arrived. This was a total surprise to me, but it meant I walked in to a table dressed with balloons and confetti which made it really special. Another thing my sister did was create the equivalent of a ‘party bag’ for me and all of my friends, which was a paper bag with some sweets in for everyone. It’s one of those things which isn’t expensive but the thought and time really does make difference. When I have guests over, my go-to dinner is Mexican, mainly because it’s my favourite cuisine but also because it’s easy to make a simple meal look impressive. Making your salsa and guac from scratch and laying out the meal in bowls so that your guests can create their own shows that you’re thinking about them, even though you end up doing more washing up. So, they’re my little tips to going above a little bit extra to be thoughtful on an occasion without going absolutely overboard (though if anyone wants to throw me a surprise party complete with flashmob, I would be overjoyed). Like the look of a Bakerdays cake? Get 15% off with the code GLASSESGIRL15 and surprise someone with their face on a cake via their postman. Oh my, this is so bloody cute! !